We're reached the end of the first half of teams in this look at the competitors in the Rio Olympic field hockey event. If you've been keeping track, the field is much tighter on the women's side when it comes to having the top-twelve teams participating, yet there are a few missing teams due to the competition in their continental tournaments and at the FIH qualifiying tournaments. The men's side has a number of lower-ranked teams involved, showing that there may be more parity in the men's game until you get to the top-six. Nothing will be given based on rankings, though, so let's check out the next two teams in this series! QUALIFIED: 2015 EuroHockey Nations Championship (1st-place). TEAM COLOURS: Red, white, blue. OLYMPIC MEDALS: Bronze - 1992; bronze - 2012. While Great Britain actually didn't qualify for the tournament per se, England won the 2015 EuroHockey Nations Championship to claim the European continental qualifying spot. With England being one of the four teams that make up Great Britain, the FIH qualified Great Britain based on England's results in the tournament. As a result, the FIH rankings for Great Britain always seem to push them lower than the rankings for England individually, and this makes for an interesting look at the Great Britain team. 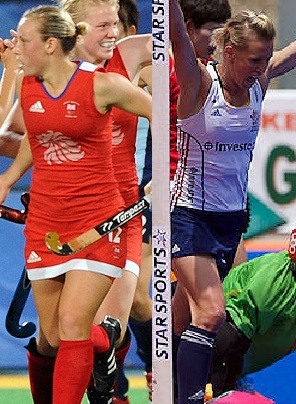 Great Britain features players from England, Northern Ireland, Wales, and Scotland at international events. The FIH rankings show England at #7, Scotland at #17, Wales at #30, and Northern Ireland outside the top-35 in the world. Because England makes up the majority of the team, they assume England's ranking and take the top players from the other countries that make up the team. In short, Great Britain is a bit of a British Isles all-star squad. Great Britain did compete at the FIH World League Semi-Finals in Valencia, Spain, and they did pretty well through the preliminary round. They recorded a 2-0 win over Spain, a 2-0 win over Argentina, a 4-2 win over Canada, and a 2-0 win over China. The quarterfinals saw them prevail over South Africa by a 2-0 score before downing Germany 1-0 in the semifinals. They would close out the tournament on a high as they downed China in the final by a 2-0 score. If you're counting, that's six shutouts in seven games - pretty darned good for a World League tournament. England has a number of great players. Sophie Bray tied for the FIH World League tournament's goal-scoring lead with five while Alex Danson recorded four goals. Captain Kate Richardson-Walsh is a wildly popular player among her peers, and she'll lead a balanced scoring attack, a solid defensive squad, and a fit Great Britain onto the pitch in Rio. Goalkeeper Maddie Hinch was named as Goalkeeper of the Tournament after her impressive performance at the FIH Semi-Finals, and she'll be counted on if Great Britain is to medal in Brazil. OLYMPIC OUTLOOK: To write-off Great Britain as a "wild card" would be doing them a serious disservice. They have shown they can beat higher-ranked teams with some decisive wins over China and Argentina. They also have wins, albeit as England, over the Netherlands who are the top-ranked team on the planet. Great Britain might be the first team to truly have a shot at the medal podium in this examination. Don't expect any other team to just roll over for them, though. QUALIFIED: 2015 Pan-American Games (1st-place). TEAM COLOURS: Light blue, white, blue, black. Argentina qualified as the Americas continental qualifier by winning the 2015 Pan-American Games. They crushed Trinidad and Tobago 11-0, beat the Americans 6-0, downed Cuba 5-4 in a crazy game, pummeled Mexico 12-0 in the quarterfinals, downed Chile 6-0 in the semifinals, and captured the gold medal with a 3-0 win over Canada in the final. It was an impressive run for Argentina who only surrendered goals in one game out of the six games they took to the pitch. Argentina is a tough team to figure out in that they slid from sixth-place to seventh-place in the FIH standings compared to last year, yet they seem to rise to the occasion when needed. They went 4-0 in the preliminary round at the FIH Semi-Finals in Buenos Aires - beating Germany, Canada, and Spain who all qualified for Rio - and then beat Japan and Canada in the medal round before falling to Germany in the final. They were heads-and-shoulders better than everyone at the Pan-American Games, so they should provide some intrigue at the Rio Olympics. Argentina has an excellent balanced scoring attack based on the twelve men who found the back of the net in the two tournaments mentioned above. Gonzalo Peillat is probably the most dangerous striker as he scored 17 goals in the two tournaments, but to overlook Lucas Vila, Matias Parades, or Juan Gilardi would almost certainly result in a loss. While they surrendered more goals at the FIH Semi-Finals, they certainly scored enough to make up for the defensive breakdowns. They also have the experience of playing in the South American climate, and that could prove to be a difference-maker with the heat and humidity in Rio de Janiero. OLYMPIC OUTLOOK: I will certainly go on record and say that Argentina is poised for a better finish than tenth-place as they finished in London. They'll have to be better defensively in Rio than they were at the FIH Semi-Finals if they hope to appear on the podium, but there's no denying that this team can score at will if given the opportunity. In saying that, I think their defensive breakdowns will catch up to them in this tournament, but they'll be a fun team to watch who enjoy filling the net! 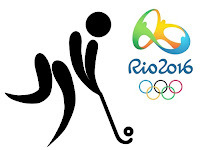 HBIC's look at the teams taking the pitch in Rio for the 2016 Olympic field hockey event continues today. We're nearly halfway through the teams so we should start seeing some gold medal favorites shortly, but we still have a few teams to roll through as the August 6 start date approaches. I encourage you to look back through the previous four entries to get you set for the field hockey tournament, and there is a piece about the rule changes that were made for the Olympic Games that should probably be read as well. With that in mind and hopefully read, here are the next two teams from the Rio field hockey event! QUALIFIED: 2014 Asian Games (1st-place). OLYMPIC MEDALS: Silver - 1988; silver - 1996. South Korea was the first team to qualify for the Rio Olympics with their tournament win at the 2014 Asian Games. 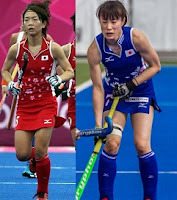 They went undefeated in the preliminary round, hammering Kazakhstan 11-0, downing Japan 2-0, and crushing Hong Kong 8-0. The beat India in the semifinals by a 3-1 score, and then captured the championship over China by a 1-0 score. With the win, they earned the Asian continental qualifying spot for the 2016 Rio Olympics. South Korea also took part in the FIH World League Semi-Finals in Antwerp, Belgium. The preliminary round saw the Korean squad tie Italy 1-1, fall to the Netherlands 2-1, hammer France 11-0, and beat Japan 1-0. In the quarterfinals, they downed Belgium in a penalty shootout, downed New Zealand in a penalty shootout in the semifinals, and lost in the final to the Netherlands by a 2-1 score. Overall, not a bad showing from the South Korean team at the FIH Semi-Finals. The South Korean team can score as shown by their two tournament performances. In the two events, Kim Jong-eun recorded eight goals, Oh Sun-soon scored six goals, Park Mi-hyun had five goals, and Cheon Eun-bi had four goals. 13 players scored for the Koreans in the two events, and they finished first- and second-place in the two events. This could be a team to keep an eye on. OLYMPIC OUTLOOK: I had stated that these teams in the middle of the pack could be wild cards, and South Korea fits the bill. They can score in bunches when given the opportunity, and they can certainly keep pace with the good teams. 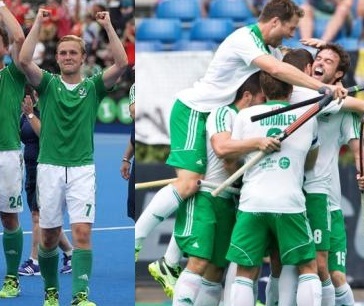 They are excellent in penalty shootouts, and they beat some good teams ranked ahead of them at the FIH Semi-Finals. A medal isn't out of the question for the South Korean squad by any means. A betting man would take a safer bet, but the Koreans could be on the podium after all is said and done. QUALIFIED: FIH World League Semi-Finals (6th-place). TEAM COLOURS: Black, white, light blue. OLYMPIC MEDALS: Gold - 1976. New Zealand needed help to make the Olympics as they finished in sixth-place at the FIH World League Semi-Finals and lost to Australia at the 2015 Oceanic Cup. 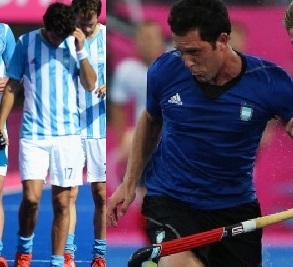 With four spots available, they got the help they needed when Argentina - second at the FIH Semi-Finals - won the 2015 Pan-American Games to become the North American continental qualifier, and the Netherlands - third at the FIH Semi-Finals - won the 2015 EuroHockey Nations Championship to become the European continental qualifier. Their qualifying spots at the FIH Semi-Finals then went to the next best teams - Spain at fifth-place and New Zealand at sixth-place! New Zealand got off on the right foot in the preliminary round at the FIH Semi-Finals with a 4-0 win over Egypt. They then beat Japan 2-1, tied the Netherlands 1-1, and tied South Korea 3-3. They ran into a plucky Canadian team in the quarterfinals, though, and fell in a penalty shootout after ending the game in a scoreless draw. They would meet Japan again in the consolation semifinals and win 4-1 before losing to Spain in the fifth-place game by a 3-1 score. Captain Simon Child was the leading scorer for New Zealand in the FIH Semi-Finals with four goals, but the scoring threats are many on the Black Sticks squad. Steve Edwards, Hugo Inglis, and Nick Haig all had solid tournaments as well, and nine different players recorded goals over the course of the tournament. New Zealand proved they can play with the big teams as they played to a draw with the Netherlands, but their loss to Canada still leaves some room for improvement. OLYMPIC OUTLOOK: New Zealand has all the makings of an Olympic champion with balanced scoring, good defence, and excellent fitness. New Zealand also seems to fall into periods of scoring droughts against teams that play a defence-first mentality. While there is no denying they have the talent to stand on the podium, a consistent effort over the two-week Olympic tournament will be needed if they hope to take down some of the better teams. With the break in the series thanks to The Hockey Show, we're back to business here on HBIC in looking at the next set of teams in the Rio Olympic field hockey event. The teams we'll see in Parts Four to Six are generally what would be considered "wild cards" - good enough to win the event, but inconsistent enough to finish anywhere down to eighth-place or lower. They have the talent to make waves in the preliminary round, but it's their performances in the medal round that often leave their fans wanting something more. In any case, here are the next two teams in this examination! QUALIFIED: 2014–15 Women's FIH Hockey World League Semi-Finals (3rd-place). OLYMPIC MEDALS: Silver - 1984; silver - 1992; gold - 2004. Germany claimed one of the four available spots at the 2014–15 Women's FIH Hockey World League Semi-Finals by finishing in third-place at the event. Germany's preliminary round went pretty well as they hammered Uruguay 8-0, downed Ireland 3-1, tied the Americans 2-2, and tied South Africa 0-0. They downed Spain in the quarterfinals via the penalty shootout before running into the Great British team who defeated Germany 1-0. This pushed Germany to the bronze medal game, and they brought home some hardware after beating Argentina in a penalty shootout. Germany has some excellent scoring threats in Lydia Haase, Hannah Krüger, and Eileen Hoffman. They have a fantastic young player in Charlotte Stapenhorst who received the Young Player of the Tournament award at the Women's FIH Hockey World League Semi-Finals, and she is a definite scoring threat as well. They have a balanced attack with ten players recording goals at the FIH Semi-Finals, and they showed that they can win in penalty shootouts when the chips are down. Defensively, they held their own with teams ranked higher than them, but they couldn't get the results on the scoreboard they needed when it mattered. OLYMPIC OUTLOOK: I like Germany's chances to bring home a medal, and they seem to win a medal every three Olympiads. This would be that year, but trends can only continue if they play above their heads when running up against upper echelon teams. There will be a number of those teams in Rio, so this German squad will need to fire on all cylinders for the two weeks in Rio. I like Germany, but they're facing an uphill battle if they are looking to medal in Brazil. They're a wild card for a reason, so don't bet heavily on Germany if the risks seem too high. It might be a safe play. 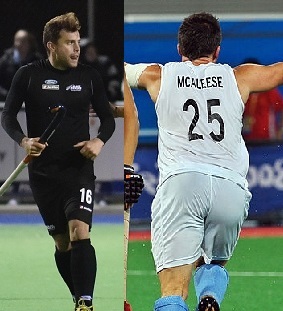 QUALIFIED: 2014–15 Men's FIH Hockey World League Semi-Finals (5th-place). TEAM COLOURS: Yellow, red, navy blue. OLYMPIC MEDALS: Bronze - 1960; silver - 1980; silver - 1996; silver - 2008. Spain needed some help to get to Rio, and they certainly didn't help themselves at the FIH Semi-Finals. They opened the preliminary round with a 3-2 loss to Canada, dropped a 4-1 decision to Germany, beat Austria 4-1, and was downed by Argentina 1-0. They dropped a 3-1 decision to the Netherlands in the quarterfinals, but they looked like a much better team in that game. That would carry over to the consolation semifinals where they would down South Korea in a penalty shootout, and they would finish the tournament in fifth-place after dispatching New Zealand 3-1. The problem, however, is that there were only four spots available at the FIH Semi-Finals and a fifth-place finish wasn't going to cut it. Thankfully, Argentina did the Spaniards a favor by winning the 2015 Pan-American Games, and that opened up their spot from the FIH Semi-Finals where Argentina finished in second-place. Because Argentina was now representing the Americas in terms of being a continental qualifier, the next highest finisher at the FIH Semi-Finals would take Argentina`s spot, and Spain jumped into the Olympics with their fifth-place finish! Spain has a star in Pau Quemada who tied for the lead in goal-scoring at the FIH Semi-Finals with six markers. The problem, however, is that there isn't much scoring depth behind Quemada. Spain only had five different goal-scorers in the FIH Semi-Finals tournament, and the other scorers tied Quemada's output combined. Andrés Mir and Albert Beltran had a pair of goals each, but they`ll need more to have any chance of making it to the medal round. OLYMPIC OUTLOOK: I'll be honest: not good. Spain wasn't good at the FIH Semi-Finals tournament against lower-ranked Canada and looked horrible against Germany. They finally got it together against the lower-ranked South Korea before downing the higher-ranked New Zealand. They are wildly inconsistent, and that can't happen in a tournament as big as the Olympics. Spain has enough talent to throw some scares into teams, but they just seem to be too one-dimensional. If they can reach a sixth-place finish in Rio, that should be considered a success. The Hockey Show, Canada's only campus-produced hockey radio show, is back tonight with a guest whose stock has done nothing but risen since he appeared on The Hockey Show. Granted, it was definitely on the rise prior to his appearance on the show, but we're happy to take some credit for his meteoric rise in the entertainment world despite being no part of his continued and long-term success. Ok, we had nothing to do with his incredible career. I'll admit it right now. I'm just happy he still makes time for us on our little radio program! 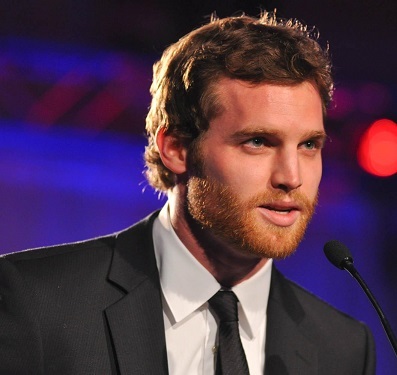 Tonight, The Hockey Show is proud to have Jared Keeso return to the show. Jared won the Canadian Screen Award in 2015 for "Best Performance by an Actor in a Continuing Leading Dramatic Role" for his performance as Ben Chartier in Bravo's 19-2, and we'll talk to him about Season Three which can be seen on Bravo on Monday evenings and on bravo.ca. Jared was also seen on CraveTV's Letterkenny, and there have been some exciting changes for that show as they finish filming Season Two. We'll also chat about his favorite team's changes as the Calgary Flames retooled this off-season, talk to him about the Subban trade as a Montreal resident, and get the low-down on his upcoming projects! With Jared on the phone tonight, the phone lines will be closed. However, get the latest Jared Keeso news by tuning your radio dial in the Winnipeg region to 101.5 on your FM dial or listen live between 5:30pm and 6:30pm CT on your web-enabled device at the UMFM webpage! We welcome back the one-and-only Jared Keeso to The Hockey Show tonight only on 101.5 UMFM! In this continuing series as we prepare for the start of the Rio Olympic field hockey event, HBIC will continue to look at the teams who make up the field for both the men's and women's tournaments. We've already previewed Spain and India on the women's side while Brazil and Canada were introduced on the men's side. All four team are probably going to struggle against the best teams in the world, but anything can happen and that's why the games are played on the field. In saying that, let's look at the next two teams in this series! QUALIFIED: 2014-15 Women's FIH World League Semi-Finals (6th-place). TEAM COLOURS: Red, blue, white. Like India's qualification, Japan's inclusion in Rio was due to the fortune of others. Four spots were available at the Antwerp FIH Semi-Finals, and Japan claimed the final spot in Antwerp. The Netherlands won that tournament and claimed a spot. Second-place South Korea had already qualified by winning the 2014 Asian Games. New Zealand took a second qualifier spot by finishing in third-place, but Australia's spot was up for grabs after they won the 2015 Oceanic Cup. With two remaining spots open, fifth-place India grabbed a spot and sixth-place Japan also qualified for Rio. Japan started the Antwerp tournament with a 6-1 win over France, but it went downhill from there. The Netherlands beat Japan 4-0, Japan and Italy tied at 2-2, and South Korea beat Japan 1-0 in the preliminary round. The quarterfinal match saw them drop a 5-1 decision to New Zealand, but a penalty shootout win over Belgium pushed Japan into the consolation final where they met India. India would finish in fifth-place with a 1-0 win, but Japan did enough to find themselves in a qualifying position once the continental tournaments were decided. Japan struggles to score goals against the better teams as evidenced by their four goals in six games in Antwerp following their big win over France. Akane Shibata might be their best offensive threat when the tournament opens, and Akiko Kato can also fin the back of the net when given the opportunity. Outside of those two players, there aren't a lot of other women on this squad who have made a mark on the international stage. OLYMPIC OUTLOOK: As stated above, Japan will struggle to score against the heavyweights in the tournament. Japan's defensive game is fairly decent and they should hold their own against some of the teams, but winning any medal might be a pipe dream for this young team. That being said, Japan has improved and will look to finish better than ninth-place as they did in London in 2012. QUALIFIED: 2014-15 Men's FIH World League Semi-Finals (5th-place). LONDON OLYMPICS: Did not participate. Ireland qualified as the fifth-place team at the Antwerp FIH World League Semi-Finals and claimed one of three available spots. Australia won the tournament, but claimed the continental qualifier position by winning the 2015 Oceanic Cup. Belgium, finishing second, claimed a Rio qualifying spot. Great Britain finished in third-place and claimed the second qualifying spot. The fourth-place team, India, had already won the 2014 Asian Games and qualified there, so the next best team took the qualifying spot, and that team was Ireland. Ireland's inclusion into the Rio Games may confuse people since Great Britain already has a team that consists of the majority of the British Isles. Players from Northern Ireland, England, Wales, and Scotland only play as Great Britain in the Olympics or Olympic qualifying tournaments, so Ireland has somewhat been on its own for some time. In 1992, the Irish Hockey Union decided to enter a team into Olympic qualifying tournaments for the fist time, ensuring that they would remain a sovereign nation when it came to the "Great Britain" squad. Ireland's only play at the Olympics came in 1908 when they won the silver medal in field hockey. In 2008, it appeared that the Irish squad was in line for a spot at the Beijing Olympics, but they missed out after goal differential resulted in Argentina and New Zealand claiming two of three qualifying spots. A loss to France in the third-place game meant Ireland would not be playing in Beijing. They again just missed out in 2012 for London's Olympic Games, but they have qualified for Rio and will be looking to make an impact there. In Antwerp, Ireland had a decent preliminary round as they tied Great Britain 2-2, fell 4-2 to Malyasia, beat China 6-0, and fell to Belgium 2-1. Australia dropped a 4-1 decision on Ireland in the quarterfinals, but they rallied back with a 1-0 win over Pakistan before claiming fifth-place in the tournament with a 4-1 win over Malaysia. Ireland can score and certainly looks like a hungry team when it comes to goals. Shane O'Donoghue, Peter Caruth, Alan Sothern, and Kyle Good all had excellent tournaments in Antwerp, and they'll be relied upon when it comes to scoring in Rio. Goaltender David Harte was named as the Goalkeeper of the Tournament in Antwerp, but that's only the tip of the iceberg for Harte. He won the FIH goalkeeper of the year award in 2015, and was named Goalkeeper of the Tournament at the 2015 EuroHockey Nations Championship. Harte could be the difference if Ireland makes a run in the medal round. OLYMPIC OUTLOOK: Ireland will be in tough against some of the better teams, but I might pick them as my darkhorse in Rio. They should scare a few good teams who take them lightly as they are very well-organized team that can score, but they won't surprise everyone they meet. I'd love to see the Irish squad medal, but if they can make it into the semi-finals, they'll have exceeded all expectations. Yesterday, we started out looking at the two lowest-ranked teams in the Rio Olympic field hockey events according to their FIH rankings. Spain on the women's side and Brazil on the men's side got the treatment yesterday, so we'll continue looking at the next lowest-ranked teams that will take to the pitch in Rio. As we saw yesterday, there are some teams that have the odds stacked against them when it comes to winning a medal, but anything can happen on the pitch! Today's teams? India and Canada! QUALIFIED: 2014-15 Women's FIH World League Semi-Finals (5th-place). TEAM COLOURS: Light blue, white, saffron. Like Spain's qualification, India needed help to get into the Olympics. The Netherlands won the Antwerp FIH Semi-Finals tournament, so they claimed one of the four spots available in Antwerp since Brazil's women's team did not qualify as the host team. Second-place South Korea had already qualified by winning the 2014 Asian Games. New Zealand took a second qualifier spot by finishing in third-place, Australia's spot was up for grabs after they won the 2015 Oceanic Cup, leaving two spots for fifth-place and sixth-place to jump in. That's how India got into the Rio Olympics. This will just be the second appearance all-time at the Olympics for India's national women's team. They finished in fourth-place at the 1980 Olympics in Moscow, so there's hope they can turn in another outstanding performance. There have been other tournament wins in the past, but they haven't recorded a tournament win since 2004. Ritu Rani led the team in scoring in Antwerp, and there's a belief that there could be other breakout stars on this Indian team. Vandana Kataria, Poonam Rani, and Rani Rani are all seen as legitimate goal-scoring threats, so this squad should be able to find the back of the net when given the opportunity. The only question will be whether they can keep pace with the higher-ranked teams. OLYMPIC OUTLOOK: India will be in tough as they suffered a 5-0 loss to New Zealand and a 4-2 loss to Australia in the round-robin in Antwerp before getting trounced by the Netherlands 7-0 in the quarterfinal game. They did beat Japan in the fifth-place game so there's some hope for a win or two, but they're still trying to catch the teams at the top of the rankings. QUALIFIED: 2014-15 Men's FIH World League Semi-Finals (4th-place). TEAM COLOURS: White, red, black. 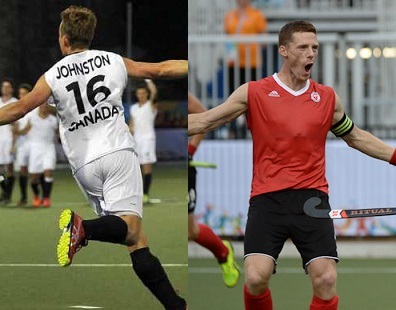 Canada qualified for the Rio Olympics by finishing in fourth-place at the FIH World League Semi-Finals in Buenos Aires, Argentina, claiming one of the four available spots there. In the preliminary round, Canada downed Spain 3-2, beat Austria 3-0, and suffered a 2-1 loss to Argentina before being blown out 9-0 by Germany. A penalty shootout win over New Zealand in the quarterfinals pushed Canada into another match with the Argentinians, but Canada fell 3-0 in the semi-final. The bronze medal game saw Canada get hammered 6-0 by the Netherlands, but they did what they came do in getting qualified for Rio. David Carter, Canada's goalkeeper, was named as the Player of the Tournament and the Goaltender of the Tournament in Buenos Aires, so you know that Canada has a pretty good last line of defence. 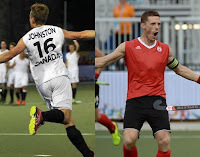 Mark Pearson, Gordon Johnston, and Sukhi Panesar are three major strikers for Canada, and they should carry the load of the offence for the Canadian squad. OLYMPIC OUTLOOK: Canada is still a neophyte when it comes to the big tournaments, and their record in the medal round of the Buenos Aires tournament is a testament to that. Despite winning the game against New Zealand, the Canadians recorded no goals in three games when hardware was on the line. Their blowout losses to perennial favorites Germany and Netherlands also serve as a reminder of the growth that is needed for Canada. If they can reach the medal round in Rio, they'll have taken a major step in their quest to show the world that they belong. As HBIC gets set for the 2016 Rio Olympic field hockey event, I feel the need to get you informed as well. As much as this blog is devoted to ice hockey, the summer game of hockey played on grass or turf is always a treat to watch. I don't have a team near Headquarters that I can go and watch, so getting to see the best play the best at the Olympics is a good way to get into the game and understand the rules and nuances of the game. While the Rio Olympics are still taking hits about the facilities and safety at the Games, the Deodoro facility has been ready for some time for the field hockey event. In saying that, we'll run down the 24 teams that make up both the men's and women's events in Rio with a two-a-day introduction over the next twelve days. We'll work from the lowest seed based on the FIH rankings to the top squads as we try to determine how the event may play out. All predictions are guaranteed or your money back! All jokes aside, let's get this started! OLYMPIC MEDALS: Gold - 1992. At first, Spain wasn't a part of the Olympic Games as Great Britain had secured one of the FIH spots with their win in Valencia, Spain. However, Great Britain also won the 2015 EuroHockey Nations Championship which is the continental qualifier, meaning that the next best four teams in the tournament would be qualified. Spain still needed help, however, and they got it when the American team, who slid into the fifth spot after Great Britain's continental qualifier, won the 2015 Pan American Games gold medal. With the USA claiming a continental spot, their spot at the FIH Semi-Final tournament opened up which allowed Spain, as the sixth-place team, to move into the qualifying spot. 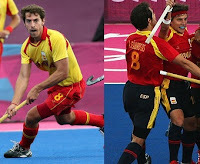 Spain lost a penalty shootout at the FIH Semi-Final tournament quarterfinal match to ninth-ranked Germany, but they showed a lot of moxie in losing to seventh-ranked Great Britain 2-0, beating sixth-ranked China 1-0, beating 20th-ranked Canada 3-0, and tying second-ranked Argentina 2-2. Their efforts ranked them third in their pool, tied with Argentina and ahead of China. Goal differential would push Argentina ahead of Spain, but there's no doubt that they had turned some heads. After the heartbreaking loss to Germany which pushed them to the consolation side of the bracket, Spain beat 11th-ranked South Africa 2-0 in the crossover semi-final game before falling to the United States in the consolation final by a 3-1 score. As we know, it looked bleak at the time, but Spain is in the Olympic tournament with Great Britain and USA winning their continental tournaments. Spain's Georgina Oliva was named as the Player of the Tournament at the FIH Semi-Finals, so they have some talent. Defender Rocío Ybarra captains the team, and she has extensive international experience in her 14 years with the national program. The scoring threats are spread around the lineup with no players having shown up more than a couple of times in the last few tournaments, but Spain can score if given the opportunity. OLYMPIC OUTLOOK: They'll scare some of the teams in the tournament with their refusal to give up, but the Spanish squad will be hard-pressed to overcome some of the truly elite teams in the tournament. If they medal at any level in Rio, they've played far above their heads. QUALIFIED: 2015 Pan-American Games (4th-place). Brazil was under the gun from the moment that the Olympic Games were awarded to Rio. The International Olympic Committee required that the host nation be ranked no lower than 30th at the end of 2014 - they were lower at the time - or finish no worse than sixth at the 2015 Pan American Games. Brazil downed USA in the quarterfinals in a penalty shootout, giving them a finish no worse than fourth-place and qualifying them to be part of the Rio Olympics. This is a team that will find it hard to even record goals, let alone wins, at the 2016 Olympic Games. Brazil's Pan-American Games saw them fall 9-1 to Canada, win 1-0 over Mexico, and lose 3-1 to Chile in the preliminary round. I've noted the penalty shootout win over USA where the two teams tied at 1-1 through regulation time, and they fell to Canada in the semifinals in a penalty shootout that saw the two teams finish the match tied at 0-0. They also fell in the bronze medal game to Chile by a 4-1 score. Needless to say, Brazil struggles to find the net as they scored no more than one goal in any match. OLYMPIC OUTLOOK: While it's tough to write-off a team before an event starts, the Brazilian team has very few scoring threats and certainly is the lowest-ranked team for a reason. I can't write anything about the team's make-up because they haven't shown any stars on the roster. If they happen to score a win in the Rio Olympics, that might very well be their gold medal. 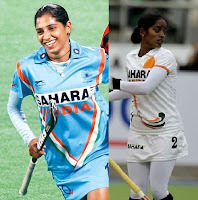 I had made mention yesterday of the favorites when it comes to the field hockey event at the 2016 Rio Olympics. The men's side will see a number of those teams return to compete for the gold medal in Rio, but one team is absent on both the men's and women's side after being one of the best for a long time. Pakistan's absence at the Rio Olympics is due to a number of circumstances, but this once-proud nation in the field hockey event has fallen from grace. Win your continental championship tournament - 4 spots available*. Qualify through the FIH World League - 7 spots. Host the tournament - 1 spot as long as the country's world ranking is equal or better than 30th or they finish no less than than 6th-place in their respective continental qualification tournament. The asterisk on criterion #1 is because South Africa had qualified in the African continental tournament, but the South African Sports Confederation and Olympic Committee (SASCOC) and South African Hockey Association (SAHA) agreed that the African continental tournament will not be considered due to the lack of competition featured at the tournament. Therefore, all African nations must qualify via the FIH World League for both the men and women. 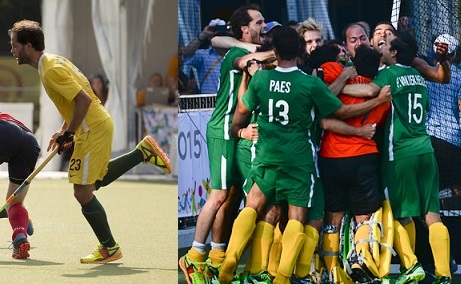 As it stands, no African nations will take part in the field hockey events at the Rio Olympics. However, that's not the omission that we're talking about today. Pakistan fell to India in the final of the Asian continental tournament, so they failed to qualify as one of the continental representatives. India, who has long been a powerhouse, used to have a deep and rich history of games against Pakistan, but that has fallen to the wayside in the last decade as Pakistan's team has been underfunded and interest in other sports has grown. These changes in Pakistan have begun to erode the team's success in tournaments and against their biggest rivals. With criterion #1 no longer achievable, they needed to win a World League tournament or hope that Brazil's team would fail to qualify for their own Olympic Games. The Brazilian men's team finished fourth at the Pan-American Games, so they qualified to host the Olympic Games in their country. The Brazilian women didn't even qualify for the Pan-American Games, so there was a glimmer of hope restored for Pakistan's women's team. We'll slam the brakes on that glimmer of hope, though. Reuters reported on July 15 that, "most young girls in the deeply conservative Muslim nation are pressured by their families to stop exercising in public, while those with family backing face the wrath of their communities. Because of this, the Pakistani women's team took major blows to its team throughout the last twenty years. As it stands now, the Pakistani women's team is just re-organizing itself despite the setbacks they have faced. Because of these setbacks, though, they did not qualify for the Rio Olympics. Once again, though, that's not the omission that is surprising. 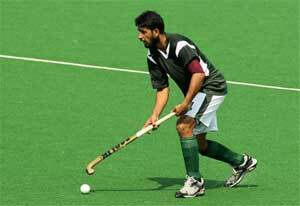 The Pakistani men's team, known more commonly as the "green shirts", had won eight Asian Games gold medals with the most recent coming in 2010. They are the only country to win the prestigious Champions Trophy with the most recent win coming in 1994. They also have three Olympic gold medals with the last one being awarded in Los Angeles in 1984. See the trend? As the tournaments include more and more upper echelon teams, the Pakistani team hasn't had the same success. Reuters has reported that the men's team has been forced to practice "[i]n dilapidated gyms and crumbling sports fields" with "dated equipment and obsolete training methods" which have put them behind the top teams on the planet. There is almost no grassroots system to bolster the future of both the men's and women's team in Pakistan, and the cash-poor federations can't hire up-and-coming field hockey coaches to change the practices being used. In other words, this isn't going to get any better without the infusion of both cash and some grassroots growth in the game. And there's nothing on the horizon to suggest that the 10th-overall team in the FIH rankings will move the rankings either. When it comes to growing the game, kids are simply looking elsewhere where the money is more prominent. Reuters reports "many young athletes no longer see a future in sports like hockey where top players get $10 per day. Pakistani cricketers, by contrast, are paid $5,000 monthly retainers and make a fortune from sponsorship deals." With the shift to the more lucrative sports, the once-proud Pakistan team has fallen on hard times when it comes to recruiting anyone. Despite falling to the powerful Indian team at the Asian Games, the Pakistani team still needed to qualify via a FIH World League tournament if they hoped to get to Rio. We already know that this team was challenged when it came to attracting new stars, but there was hope they could pull off another miracle just as they had when they finished second at the Hero Hockey Champions Trophy tournament in Bhubaneswar at the end of 2014. Pakistan traveled to Antwerp for the FIH Hockey World League semi-finals, but they finished a disappointing eighth-place in the competition. The dream of going to Rio to compete for another Olympic gold medal ended with this tournament, and it appears that the Pakistan national team may not recover. The squad that went to Antwerp featured five players who have appeared over 100 times for Pakistan nationally including Mohammad Imran and Mohammad Waqas who have some 250 appearances between them. This is an aging team, and they aren't getting the reinforcements to replace the elder statesmen on the team. This situation will almost guarantee that the Pakistan team will continue to fall in the world rankings or, at worst, disband altogether. It's a very notable omission from a tournament that was once dominated by the Pakistani team, and it's going to take some money and hard work to rebuild this program. If Rio isn't the catalyst for that rebuild, we may never hear about Pakistan at any Olympic field hockey event in the future. 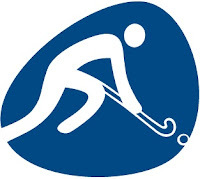 With less than two weeks to go before the opening of the Rio Olympic Games and the field hockey event on August 6, 2016, Hockey Blog In Canada is shifting into Summer Olympics mode, aka field hockey central. I'll be upfront in telling you that watching the game and figuring out some of the rules will be a challenge if you can find highlights on your local TV lineup. North American teams generally aren't expected to medal thanks to the dominance shown by a few teams, but the Canadian men and American women will be in Rio to compete for gold! In saying that, let's get you primed for the hockey event at the 2016 Summer Olympics! In 2008 for the Beijing Olympics, I wrote a big piece on how the game is played. I suggest that you read that for the general rules about the game before diving into this piece. It will explain the basics so you understand what's happening on the field. There's also a historic piece on who are normally the favorites at these events, so take a peek at that one as well. From the first linked article, I had written about how the game is managed with respect to time. I wrote, "The game is divided into two 35-minute halves with a five-minute half-time." In order to facilitate better coverage and analysis, the International Hockey Federation (FIH) has instituted changes for the Olympic event this year. Whether or not they improve the sport's play is debatable, but there is certainly some belief that these changes will increase the intensity of the game and the overall flow when generating offence. Before I go further, field hockey is unique in that the game is played on a sand-filled turf field that makes the surface harder, but slows the ball's roll considerably. Because of this, games would resemble soccer in that flurries of offensive attacks would often be interrupted by long breaks of teams trying to force the other team into a mistake. That's not a complaint, but it did allow the upper echelon of teams to gain a lead and simply wear out their opposition by passing the ball around in the non-attacking area and forcing their opposition to chase the game. To close the gap between the top teams and the rest of the field, the decision was made to reduce games from two 35-minute halves to four 15-minute quarters with 2 minutes of rest after each period. Halftime would go from five minutes to fifteen minutes in length. Much like in basketball, the breaks will allow for better analysis by TV crews and the additional breaks should provide more rest and opportunities for teams to adjust their lineups thereby improving the play of the game. Thanks to the heat in Rio, the sun not only affects the players as it bears down on them, but can be reflected by the field's blue-coloured turf as well. As you may recall, the 2012 London Olympic Games debuted the blue turf, and it was well-received by both players and officials for its play. By instituting the more frequent and regular breaks, players can stay hydrated and cooled off when these breaks were only normally afford by a player substitution in previous events. Additional changes for the 2016 Olympic Games include the implementation of 40-second time outs following both penalty corner awards and the scoring of a goal. This should push the level of play higher as both teams can adjust to their opposition's tactics in these breaks. The timeouts will also prevent teams from using additional seconds of the running time so that all games respect the 60-minute total game time. And since overtime was eliminated in round-robin games in tournaments by the FIH in 2013, any tied matches will go to a penalty shootout in the round-robin to determine a winner. These changes are seen as positives in the field hockey community, and it sounds as if the Olympic Hockey Center at Deodoro will be well-received by the community. Being that the Rio Olympiad is the first tournament to see the new four-quarter format, it will be interesting to see how this format is received by the television community, but the length of matches shouldn't be affected by these changes when it comes to scheduling blocks of time for TV broadcasts. For a sport that is looking to hold onto its Olympic status, there's hope that these changes will make watching and enjoying the game both from a player's perspective and a fan's perspective much better. While we'll probably hear feedback throughout the Olympic Games about these changes, the important numbers will be the fans through the turnstiles and watching on TV and the scores on the scoreboard! The event starts August 6 - will you be watching? It take some work and some luck to make some of the things on this blog work. The luck is that I usually can find the coding I want somewhere online for whatever I'm needing - the menu above, the ticker above, et cetera - and the work comes in tweaking it for what I want it to display. Once you've got everything set, it feels good to say "I did that" and own it. The frustration, however, is figuring out how some stuff works when you're an amateur coder. Things don't always go as planned and, occasionally, you find yourself scrapping an idea altogether before it even makes it onto the webpage. Today's example is exactly one of those situations. I've been trying to figure out how to add a custom soundboard to this blog for use on The Hockey Show. Most soundboards are made with Flash, but there has been an increasing push-back from a number of places due to Flash's ongoing problems with stability. Apple, for example, supports no Flash applications whatsoever, so I was already facing the problem that the soundboard would be unusable on any iDevice. When using Windows, I'm a loyal Firefox guy. I have Chrome and Internet Explorer for testing my blog's creations on those two browsers, but I write and code in Firefox on this blog. News broke earlier this month that Firefox will automatically block Flash without warning you due to a major vulnerability. Suddenly, that soundboard was looking like a dream from a decade ago when Flash was still hip and fun for videos and software. Learning bits and pieces of Flash along the way is basically all for naught now. Needless to say, I had to find another alternative. 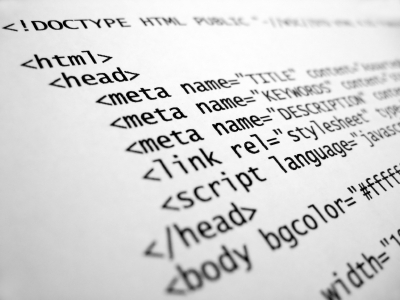 I'm not the world's greatest coder by any means, but I get HTML. 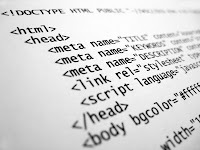 It's a common language across all web browsers, and it works well when written well. With that in mind, I went and found some basic code for a soundboard and then I programmed it how I wanted it. As you can see, I've got some sound bytes and sound effects already programmed into the soundboard. What we at The Hockey Show are looking for are additional sounds that you think would fit into hockey discussions and/or snippets of music that can be played in key moments. We'll take all suggestions into consideration, so please suggest an idea if you can! If you want to find the soundboard quickly, it's located up under the "Extras" menu. Feel free to use it if you like for whatever purpose you may need it. It works on all browsers on all devices - PCs, Android, iDevices - as far as I can tell, and it seems to work through all the major browsers that I could find. The Hockey Show will have its own unique sound effects now, and you can influence additional choices with your ideas since this blog is of the people, by the people, and for the people. Drop ideas in the comments, and we'll see what we can do with your suggestions! The Hockey Show, Canada's only campus-produced hockey radio show, returns tonight to celebrate a major milestone as we have reached reached 200 shows! It's a pretty big milestone considering we're not that far away from kicking off our fourth season, and it's pretty amazing to see all of the hockey we've talked over 200 weeks of doing this show. We've welcomed some big names and some up-and-coming names, we've talked about all the major stories from the hockey world, and we've delved into topics that don't get a lot of coverage. Tonight's show will feature a few prizes, hopefully a few guest drop-ins, and, as always, a load of hockey talk! Tonight, Teebz, Beans, and TJ will discuss Brad Richards calling it a career after 15 years with the Rangers still paying him $5.05 million this coming season and $1.05 million through 2025-26, Wayne Gretzky signing with the New York Rangers 20 year ago today, the late Gordie Howe being mentioned at the Republican National Convention, Mark Scheifele's comments on Subban-vs-Weber debate on Toronto's TheFan590, former Canadiens' number guy Matt Pfeffer not owning his comments, and we'll talk about Teebz and TJ spending a day out in Neepawa for a very good cause. If we do get a few guests dropping in, we'll toss those topics aside and have some fun, but listen from start to finish for a few opportunities to take home some prizing! We have a bunch of stuff in the ol' shwag bag, so there's a chance to win something good if you know your trivia! Tonight, we want to hear from you with prizes on the line, so give us a call at 204-269-UMFM (269-8636)! Make sure you tune your radio dial in the Winnipeg region to 101.5 on your FM dial or listen live between 5:30pm and 6:30pm CT on your web-enabled device at the UMFM webpage! Tweet me anytime with questions you may have by hitting me up at @TeebzHBIC on Twitter. You can also post some stuff to Facebook if you use the "Like" feature, and I always have crazy stuff posted there that doesn't make it to the blog or show. 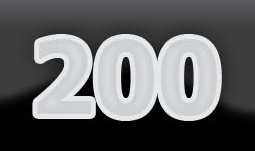 We celebrate 200 incredible shows on UMFM tonight on The Hockey Show and can be heard only on 101.5 UMFM! Until next time, keep your sticks on your ice! The recent revelations made by WADA and lawyer Richard McLaren about Russia's systemic doping problem have shook several sports and their governing bodies to their cores. From 2011 until 2015, it seems that the Russians had a very elaborate and secretive doping plan in place for athletes across every sports discipline until whistleblower Grigory Rodchenkov stepped forward and pulled the curtain back on the entire debacle. There is increased concern over results form every major sports event that was held in Russia in that time, and there's a cuse for concern about the entire Sochi Olympic Games and the results seen there. With the Rio Olympic Games bearing down on the IOC and the world, the push from the athletic community outside of Russia is to ban the whole Russian team. As wise as that question may be when it comes to fair play and competitiveness, I think the bigger question is what does the IOC and the world do with Russia as a whole? I'll link WADA's report, prepared by Mr. McLaren, right here for those that want to navigate it. It's a 103-page document that is exhaustive in its reporting, but there are snippets worth checking out. 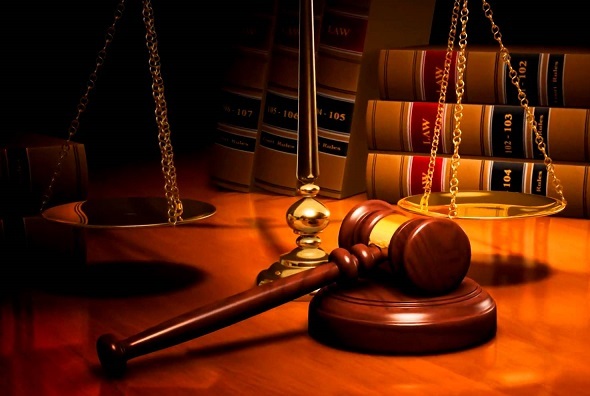 If you have the time and want to learn how to read proper legalese, here's your link. The first time I had read in-depth of system-wide doping happening in Russia was a John Brant article in The New York Times Magazine that exposed the lives of Russian track star Yuliya Stepanova and her husband, Vitaly Stepanov, on June 22, 2016. It was five days previous to that article's publishing when the news broke that the IAAF had banned the Russian track-and-field from competing in Rio due to a massive doping scandal. It's in Mr. Brant's article, however, that you learn that this doping procedure was in place as far back as 2009 and, perhaps, even earlier based on his statements. When you think that it could have been happening as early as 2008, possibly in Beijing for that Olympiad, there are a lot of athletes who were fighting an unwinnable battle for medals they were not medically-enhanced enough to win. That's not to say that some didn't overcome the odds and beat out the Russians who may have been cheating at the time, but there's at least seven years worth of doping that the Russian had been practicing - perfecting? - prior to WADA's findings and Rodchenkov's admissions of cheating. In that time, there were two Winter Olympiads that the Russians sent hockey players to, and multiple international events that had them achieve some form of credible success. Richard McLaren has stated, "the system was set up following the 2010 Winter Olympics, and was in place until 2014" in his report and in interviews, so it seems like the worst of the systemic doping procedure was applied to the vast majority of Russian sports after the Vancouver Olympiad. That makes sense when you consider the boasting that Vladimir Putin did prior to the 2014 Sochi Olympics about how Russian athletes would restore pride to Russia with many gold medal performances. Russia did indeed do exactly as he predicted: they won the most gold medals with 13, and had the highest medal count of all the countries with 33. Norway (11) and Canada (10) were the only other countries to hit double-digits in gold medals after all was said and done, and the national pride that Putin spoke about before the Olympics was delivered just as he promised. "The Disappearing Positive Methodology was used as a State directed method following the very abysmal medal count by the Russian Olympic athletes participating in the 2010 Winter Olympic Games in Vancouver. At that time, Sochi had already been designated as the next Winter Olympic venue." Just as I stated above, the systemic doping procedures were put in place in order for Putin to make good on his boasts of national pride being restored. There is enough evidence in McLaren's report that points to this being a directive that would have had to come from offices much higher than the individual sports' authorities themselves. How does this relate to hockey? According to the chart found on page 41 of McLaren's report, there were a minimum of 14 positive doping test results that disappeared. I say "a minimum" because Mr. McLaren was not able to have access to all of Russia's records, so he only had a chance to record these 14 cases in the sport of ice hockey. There certainly could be more, but 14 is a definite number of players who were doping at the ice hockey event in Sochi. Let's assume that the NHL players in Sochi were following guidelines as set out by the IOC and the NHL to be able to be included in the event. That would leave nine Russian men who played in the KHL for the 2013-14 season. I'll also note that all 21 Russian women were playing in the Russian women's league during the 2013-14 season including CIS stars Iya Gavrilova and Sasha Vafina as well as NWHL player Yekaterina Smolentseva. In total, there are 30 players who played the 2013-14 season of hockey in Russia who could have been part of this doping scandal, and it appears that nearly 50% of them were. It probably didn't help Putin's cause when the men lost to Finland 3-1 in the quarterfinals, and there was certainly some finger-pointing at the time of the loss when it came to blame. The Russian women fared no better either, finishing with a 2-0 loss in the quarterfinals to Switzerland. At least in the case of the women, they knew it would take a miracle to capture anything more than a bronze medal. When you look at the numbers, though, it would make sense to say that either three or four men and ten or eleven were caught doping if the numbers are true, and I'm using the 14 definite cases that disappeared as the magic number. We need to drill down further to see if there might be some players who can still be counted out of the positive results because there are players who had left North America for the KHL without being in the system since 2010. The nine Russian men's players include defenceman Ilya Nikulin, forwards Viktor Tikhonov, Alexander Svitov, Alexander Popov, Alexei Tereshchenko, Alexander Radulov, Ilya Kovalchuk, and Yevgeny Medvedev, and goaltender Alexander Yeryomenko. It seems too obvious to lump the superstars into the doping group, but it would be irresponsible not to include them. While we might never know the answers as to who were the guilty parties from these nine men, only one of these men played less than a year in Russia prior to the Sochi Olympics - Ilya Kovalchuk. That would make him an unlikely candidate in the scandal. No, it seems like this doping scheme was built on long-term doping methods. Maria Sharapova had admitted to taking mildronate, also known as meldonium, since 2006, but tested twice for the drug in two separate tests in January and February 2016, prompting the ITF to hand down its two-year suspension to the tennis star. Meldonium was added to the banned substance list on January 1, meaning that the Russians had been ahead of the doping game for some time. For decades meldonium was given openly to Russian athletes, along with vitamin supplements, and many trainers have complained about the ban while asserting that they would comply with it. Sold as Mildronate, meldonium is not approved for sale in the United States or the European Union but is sold over the counter in Russia and some Eastern European countries. A study by a Russian anti-doping center found that more than 700 Russian athletes were on meldonium last year before the ban, according to the Russian newspaper RBK. It was reported that Sharapova had been using meldomium for approximately ten years to battle a number of medical ailments, and there's belief that the science and investigation into meldonium finally caught up to a number of these Russian athletes who had been using the drug for a variety of reasons. According to the National Center for Biotechnology Information, meldonium "demonstrates an increase in endurance performance of athletes, improved rehabilitation after exercise, protection against stress, and enhanced activations of central nervous system (CNS) functions". Yeah, that definition sounds exactly like cheating, doesn't it? Look, I can't tell you what the exact right answer is for Rio or for any other event going forward other than double-blind testing where the same samples are tested by independent WADA-certified labs without knowing the results from the same sample in the other lab. This will drive up costs and certainly delay results depending on where those labs are located, but it seems to be the only way to ensure that samples can be verified as clean with respect to drug-testing. Maybe that's what has to happen until better testing solutions can be found, but it seems like ensuring the tests to a laboratory in a somewhat morally-compromised country will only result in better methods of cheating. I'll tell you this, though: it didn't help the Russians on the ice. And maybe that's the one intangible that can't be cheated: when the talent level is identical or close to being identical, hard work and teamwork will always overcome an individual's cheating in a team sport. As for the Russian track-and-field team not competing in Rio and the possibility all Russians will be banned? Well, you made your bed. Enjoy lying in it, you dopes. 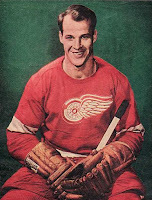 There's no denying that Gordie Howe will always be associated with the Detroit Red Wings when it comes to his NHL career. Sure, there was a brief stint prior to his days in Detroit with the New York Rangers along with his Hartford Whalers days at the end of his career, but he spent a lot of time in the red-and-white in the NHL. Had the Red Wings not forced him into retirement after a wrist injury in 1971, there's a good chance he would have played another decade in Detroit rather than jumping to the WHA and the Houston Aeros. But why fuddle the narrative with details, right? Well, it seems that the Republican Delegates at the National Republican Convention in Cleveland, Ohio tonight did a little name-dropping in an attempt to keep pace with the boasts made by the other states in attendance. I apologize for bringing politics into this, but hang on until the 45-second mark when Ronna Romney McDaniel starts dropping names. Look, I get that you need to keep up with the Joneses around you, Miss McDaniel, but why bring Gordie Howe - a Canadian - into your assembly? Can the man not rest in peace rather than being associated with this farcical congregation? And what about all the other amazing people who have called Michigan home and are born-and-raised Americans who weren't singled out by Miss McDaniel? I don't know what Mr. Howe's politics were and I can't ever recall him endorsing one party over another in either country. I'm quite sure, though, that he wouldn't have endorsed Donald Trump's policies of building a wall between Canada and the US. Mr. Howe was a tough son of a gun, but he certainly wasn't crazy. Politics and sports shouldn't be thrust into the same conversation. Ever. Don't name-drop a guy that the Red Wings forced out of hockey. If there's one thing I've learned from having a blog and a radio show, it's that what I write and/or say can live on forever. I will fully admit that I've been wrong on many occasions with my hockey prognostications and my opinions on some of the topics I've covered probably should have landed me in some hot water had the hockey world considered me more of an authority. You learn through these errors in judgment about what should and shouldn't be said, but there's one thing more than anything that I've done when it comes to my lapses in judgment: I've owned it. I have been reading the recent comments that Matt Pfeffer has been making regarding analytics, the PK Subban trade, and his apparent emphatic plea with Montreal management to keep the dynamic defenceman. While I have gone on record both on this blog and on the radio show that I believe the Canadiens should have kept Subban rather than making the trade for Weber, the trade happened and Subban will play for Nashville for presumably the remainder of his career. I won't apologize for my comments. I truly believe that Marc Bergevin made a serious error in judgment in making this deal, and I happen to fall into the majority of the hockey world who believes this similar sentiment. Matt Pfeffer is part of that majority, and he went on record with The Hockey News' Ken Campbell today about his feelings on the deal and what appears to be Montreal's change in direction for its analytics department after Pfeffer's contract was not renewed. "I guess everyone knows now where I stood on the Subban-Weber trade. There are times when there's some possibility that there would be another side to the argument, but this was one of those things where it was so, so far outside what could be considered reasonable." "My analysis of Shea Weber had very little to do with Corsi. It's easy to hate on Corsi, but he is not a good goal differential guy either. He's not pushing the needle in terms of how many goals the Nashville Predators score and get scored on when he's on the ice. He's good, he's serviceable, but he doesn't really push the needle on either side." "An average NHLer is worth a heck of a lot and that's what Shea Weber is." As an unemployed analytics guy, it's probably not a good idea to rip into your former team or the decisions made by those who were signing your cheques. It's a bit of a career-limiting move, but you could tell that Pfeffer is still emotional about his job, his work, and the trade. That's part of being human, and to be human is to err. Being 21 years-old is no excuse, but there's wisdom in experience as well. You might say that his youthful exuberance got the better of him in the interview with Campbell. At 21, I fully admit that I was far sharper with my tongue than I probably should have been, and I learned the lessons necessary to know that there is a time and a place for speaking out when it comes to the hill one chooses to die on. Pfeffer is also learning those lessons as we follow this story. Of course, that tweet has been deleted along with most of Matt's other Twitter work. I have no problem with a guy making rather controversial statements, but why delete it? Why remove what you believe to be true, especially since it's based on real numbers? Career suicide obviously doesn't last long as Matt has already joined the Hockey Graphs family, so his work in analytics will continue albeit not with an NHL squad. I feel he'll do well there as he can really show off his work with numbers across the entire NHL spectrum. I can't deny that Matt has talent - he's good at what he does. However, he needs to own this situation. He made comments that were perhaps said in haste and out of emotion, and he should be apologizing directly to Weber and the Canadiens instead of expressing regret over what he said. This is about accepting responsibility for one's comments and showing the maturity to admit that what was said was negative and, possibly, hurtful. An apology directly to the Canadiens and Shea Weber would be infinitely better than the expressed regret via social media. I do hope that Matt Pfeffer can find a job with an NHL team in the future if he pursues one. He does have an innate ability to decipher numbers and dig deeper into the stats. However, there will be a lot of GMs who will "eye-test" this situation for a long time when it comes to future employment. An apology would go a long way in Matt owning his future. I'm not sure anyone knows what it feels like to lead the NHL in goals in a season except for a select few people on the planet. It's a very exclusive club, so it's hard to imagine that Jonathan Cheechoo is a world away as he plays in the KHL. Jumping to the KHL might somewhat be like leaving his family in Moose Factory, Ontario to join the Belleville Bulls when he was a teenager, but the isolation in both cases is real. Earlier this week, though, Doug and Jordan Cheechoo, Jonathan's uncle and brother, set up a camp that was only for Aboriginal youth as they try to follow their hockey dreams! The Hockey Camp of Hope opened this week in Sudbury, Ontario to a number of Aboriginal youth hockey players in an attempt for them to better their games while addressing some of the challenges that Aboriginal youth face in their quest to become a professional hockey player at the NHL or minor-pro levels. The Hockey Camp of Hope is run by Doug Cheechoo and his team of coaches who strive to even the playing field both on the ice and off it for Aboriginal youth. "We get the opportunity when we have all aboriginal kids to talk about the issues they will face," Doug Cheechoo told Bruce Heidman of the Sudbury Star. "With most teams, they will be the minority, if not the only Aboriginal, and that presents challenges to the individuals. All the coaches at the camp have gone through it whether it is racism or whatever, and not just from fans but from their own team sometime, and that's why we have them all in one classroom and talk about the challenges, talk about living away from home for the first time ad how to deal with homesickness. For the Aboriginal student who is already a minority, it is a different experience all together. The social and living conditions are so much different, it is a bigger adjustment for an Aboriginal person." This is a topic that Doug knows well having seen Jonathan leave home for Belleville before being drafted in the second round of the NHL Entry Draft by the San Jose Sharks. While there were some Aboriginal role models that Jonathan could certainly look up to while getting into the league, finding his place in any of the leagues he starred in as one of a handful of Aboriginal players can be difficult. "They are kids are from isolated reserves, they move away and have to try to make new friends, and aboriginal people are shy as it is and it takes a couple of weeks at least to get adjusted," Jordan Cheechoo told Heidman. "I know my first training camp in Sudbury, I was shy and didn't do what I was able to do and got cut from that team, so I just want to tell them to be outgoing from the start. When you are a minority on a team it is tough, so we want to help them." 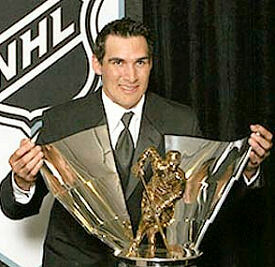 For every Johnny Bucyk and Jordin Tootoo that makes it to the NHL, there are many more who do not. Camps like the Hockey Camp of Hope, though, allow Aboriginal youth the opportunity to train under NHL and AHL talent so that they have an appreciation for the hard work needed to get their careers to the next level. Instructors at the camp include Grand Rapids Griffins head coach Todd Nelson, Bakersfield Condors assistant coach Tony Borgford, and Winnipeg Jets scouting coordinator Barett Leganchuk. "We’re working with players that will be prospects down the road, possibly major junior, and we are preparing them for that next level and let them know what they will face down the road," Leganchuk told Heidman. "We teach them and tell them what scouts will be looking for from them down the road and how in-depth scouts look into them and what their personalities are, and we want to help them learn that different types of players make it and you can find a role at the next level. We aim at tackling the on- and off-ice and we prepare kids for what they will have to face down the road and how to handle situations, like if a coach is mad at them or a situation where they may have to persevere. There is more to it than shooting a puck and skating." It's this kind of instruction that will help any of attendees go far, and I'm hoping that someone from one of the Hockey Camps of Hope will have his name called at an NHL Entry Draft in the near future. For now, though, the work being done by the Cheechoos is pretty incredible when it comes to getting Aboriginal youth deeper into the game. I, for one, think the Hockey Camp of Hope is an amazing initiative, and I'd hope that the NHL lends its support to the camp at some point. For a sport that is primarily seen as being played by white males, the inclusion and support of the Aboriginal community would be a big step for hockey. Let me just say that it is a privilege to know Brandon Reid and Jessica Scott-Reid because they're amazing people. As you may be aware, Brandon and Jessica have been guests on The Hockey Show on multiple occasions, and we enjoy following Brandon's hockey career and Jessica's writing career on the show! I have to admit that it was exciting in hearing that Brandon accepted an offer to coach in Denmark again as he's really taken to coaching with his previous work there at Vojens and with Sledge Hockey Canada here. We'll be tracking Brandon's progress once more on The Hockey Show this season, so make sure you stay tuned to find out how he and the Aalborg Pirates are doing! One of the things that you learn as a coach is that you always have to be on your toes and ready for anything. I assume that this interview was planned, but I'm going to go on record here and say that Brandon Reid might be the first head coach anywhere to be interviewed while having his hair cut! 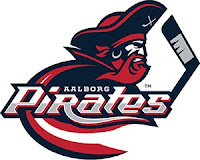 Here is Aalborg Pirates' TV speaking with the new head coach while he's being groomed! I'm not sure about you, but that just seemed weird. I don't mind a little banter with a barber, but a recorded interview while the barber is doing his or her job? That's different. Outside of the environment, I thought Brandon gave a great interview and I am going to make a bold prediction in saying that the Pirates will improve on their 52-point season under Brandon's guidance. Brandon will have some talent to work with on the Pirates, and there's a distinct Manitoba flavor to the team. For Jets fans, he'll be working with 22 year-old forward Sebastian Ehlers, the older brother of Nikolaj Ehlers. Brandon also recruited 26 year-old defenceman Bryce Reddick, the son of former Winnipeg Jets goalie Eldon "Pokey" Reddick. Joining those two are 22 year-old forward Peter Quenneville, former captain of the Brandon Wheat Kings. Needless to say, the Manitoba connections should give Brandon a strong contingent to lean on this season. Among those returning to the Metal Liguen team are Julian Jakobsen and Bjarke Møller. Jakobsen, a 29 year-old centerman, played with the DEL's Hamburg Freezers last season where he was used mostly in a defensive role with the squad. He's seen as an excellent skater, so he could be used in a more offensive role with Aalborg. Møller started his career in Aalborg in 2007-08, and will return once more. The 30 year-old forward is expected to be one of the leaders on a rather young Aalborg squad, but he still has the legs to keep up with the kids and the hands to finish. In short, both Brandon and Jessica are doing well since arriving in Denmark about a week ago. After some confusion about their beloved pups at the check-in counter at the airport, everyone arrived safely and they are settling into Danish and European life once more. September 23 sees the Pirates in action in their first game of the 2016-17 season, so Brandon's going to be busy for a while yet before the skates even hit the ice! Jessica, meanwhile, is a fantastic freelance writer who has been publishing stories in a plethora of magazines, newspapers, and internet sites. Her latest piece for Chatelaine is all about rosé gummy bears and she recently wrote an article on Skype cooking classes! Keep an eye on this space for more updates about the Pirates and the Reids as I try to close the distance between Canada and Denmark. We'll also have updates on The Hockey Show, so tune in and hear about what may be happening in Denmark with the Reids as well! Until next time, holde dine pinde på isen! 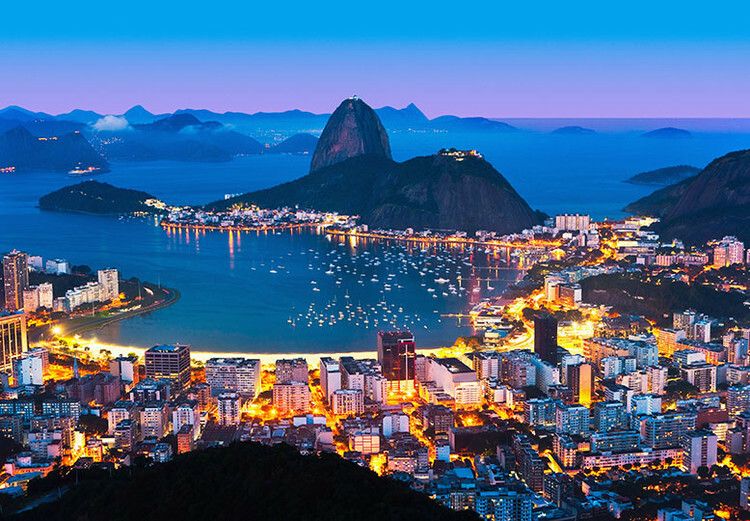 The single biggest event in the celebration of athletic endeavors will begin in exactly three weeks, and I'm sure Rio de Janiero will be lit up like the image to the left as the world descends upon the Brazilian city. HBIC will be devoting several articles worth of coverage to the field hockey event from afar thanks to my non-existent international travel budget. However, that might be a good thing thanks to the numerous athletes who have cited medical concerns for traveling as well as the general unrest in the country itself. While I generally think the Olympics are an excellent way for a number of athletes to gain recognition for themselves and their sports, it might be time to re-think the entire Olympic experience as a whole. We already are aware of the Zika virus and the related medical conditions it causes, and there have been numerous athletes from across the globe that have indicated those risks are not ones that they are willing to take when it comes to their chosen athletic competition. Other athletes have simply declined the offer to compete in the Olympics for their own personal reasons. No one will ever be forced to compete at an Olympic Games in modern times, but to see some of the planet's best athletes in their sports not competing is a bit of a letdown. But Teebz, you say, this is a hockey blog. How about talking some hockey? I hear you. However, indulge me for a second. There is some field hockey news at the bottom. As I was saying, what should concern the athletes more than the Zika virus is the environment into which they are stepping. Not only is the natural environment in which events will be staged heavily polluted and has the potential for far worse diseases to be transmitted, the socio-economic and political environments of Rio de Janiero are supercharged with protestors and angry citizens expressing their discontent over the spending done by and the corruption of the government making these decisions. The AP lanced that bubble last year with two investigations based on independent water-quality testing. The first, published in July, found that in certain venues, Olympic athletes are "almost certain to come into contact with disease-causing viruses that in some tests measured up to 1.7 million times the level of what would be considered hazardous on a Southern California beach." In December, a second round of tests showed that the Olympic waterways teem with viruses and bacteria even far from land. That was one year ago when the July report came out, and six months ago when the December report came out. Brazil is still pumping raw sewage into many waterways, and officials have admitted that they won't meet the goal of treating the water that competitors will be on. Officials have already admitted they won't meet their stated goal of treating 80 percent of the sewage that flows into the bay. It's more like 65 percent, according to the most recent estimate. There have been murmurs about moving the sailing venues further into the open ocean, where the water might be cleaner, but some athletes said they'd rather stick with the water they've trained on. And less than five months out, it's far too late to change the host city. Honestly, I'm not sure I'd accept an invitation to Rio with Team Canada for any water-based sport at this time. When you read, "The AP found that ingesting just three teaspoons of its waters would result in a '99 percent' chance of infection," that's kind of off-putting when it comes to competing at the Olympics. "It surprises me that the [International] Olympic Committee would have accepted at face value that Rio would provide an elaborate, integrated water and sewage treatment system" before the Olympics, William Schaffner, a professor of infectious diseases at the Vanderbilt University School of Medicine, told Miss Khazan. "These things take years to build and they're enormously expensive. I think they cast a blind eye... when they made that decision." Personally, this seems like a travesty of the worst kind when you consider how many athletes will compete in water-based events. However, it's not just the water sports that are seeing problems as access to venues and the Olympic Village. The "Red Line" road - better known in Brazil as the "highway of terror" - must be traveled by all fans and athletes going to and from the Olympic Games, and it has seen its share of scary incidents lately as well. Over the last few months, there have been regular carjackings and hostages taken by rival gangs whose territories lie on either side of the highway that runs from Rio's international airport into the city. There have been shootouts across the highway with bullets flying from both gangs and police. In the middle are innocent civilians who are simply trying to navigate the highway, the same thing every athlete, coach, team official, distinguished guest, and fan will have to do at some point in their quest for Rio gold. And yes, there have been innocent civilians killed. At this point, it seems like everyone involved with these Olympic Games is rolling the dice with the lives of all those who make the event memorable. Even the field hockey venue isn't immune to stupidity. At the Olympic Hockey Centre in Deodora, the only way to get to the facility is via public transit as there is no parking anywhere near the facility. Once you get off either the Magalhães Bastos train, it's a 21-minute, 1.5-kilometre walk to the the entrance of Deodoro Olympic Park! Who designs a public stadium without any sort of public parking (without mentioning Laval)? Ok, complaints aside, I expect the field hockey events in Rio to be rather exciting and entertaining. The women's event will run from August 6-19 while the men will play from August 6-20. For the first time ever in an Olympic field hockey event, the medal round will see quarterfinal matches played! The top-four teams in each pool will qualify for the medal rounds, and there are great games between some of the dominant teams in the field hockey world getting early on in the competition! On the opening day of the men's event, Netherlands, who won silver at the 2012 London Games and are the reigning European champions, take on Pan-American champions Argentina! Later that evening, the second game of the women's event finds reigning Hockey World League champions and London 2012 silver medalists Argentina looking to avenge their Pan-American Games final loss to the USA! Needless to say, there's a lot to be excited for in the coming weeks if you're a fan of field hockey. I'll try to do a run down of each of the pools for both the men's and women's events in the coming weeks as well. While the Rio Olympics might be tarnished with everything that has gone wrong and what could go wrong, the field hockey event sees the majority of the world's best teams coming together for the ultimate tournament!